Tiinamaija Tuomi, MD, PhD, is since 2010 Chief Departmental Doctor at the Department of Endocrinology, Helsinki University Central Hospital. She received her PhD in 1990 on immunology of rheumatoid arthritis at the University of Helsinki. During her post-doctoral period at Monash University in Melbourne, Australia, she switched her research focus to autoimmune forms of diabetes and renamed a hybrid form of type 1 and type 2 diabetes as Latent Autoimmune Diabetes in Adults (LADA). Much of the work of her group has been involved with characterising this type of diabetes clinically and genetically. 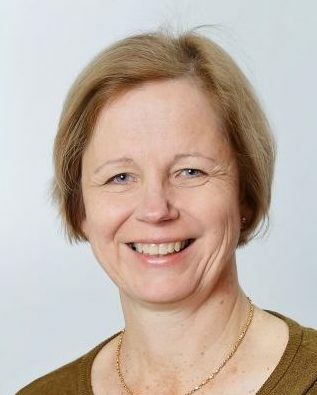 She worked with the Botnia Study at Lund University during 1994-1999 as a vice-chief of the Diabetes Research Laboratory (predecessor of the Lund University Diabetes Centre), which widened the scope of her research activity to genetics, causes and clinical heterogeneity of type 2 diabetes and monogenic forms of diabetes. She is the co-PI of the Botnia Study since 1999. Her research group in Helsinki as well as Närpes, Jakobstad and Vasa in Western Finland is associated with the Folkhalsan Research Center, the Diabetes and Obesity Research Program of the University of Helsinki and the Helsinki University Central Hospital. The group works in close collaboration with the Lund University Diabetes Centre, where much of the genetic work of the Botnia Study is conducted, as well as with several international consortia.